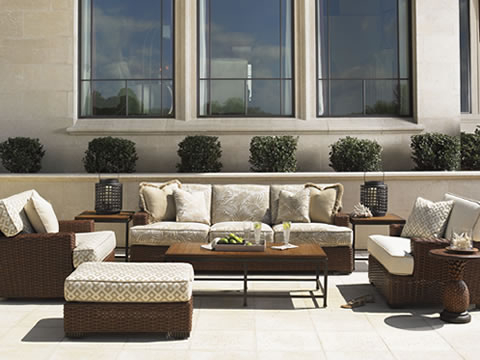 Elegant Outdoor Living arrived onto the Southwestern Florida scene in 2010 with confidence and purpose, opening three stores in just 5 years in Naples, Bonita Springs, and Fort Myers. After realizing customers were traveling from the Tampa and Sarasota area they knew it was the next move. Fall 2017, they added their fourth location in Sarasota. 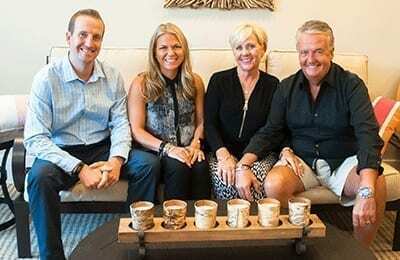 Tom and Debbie Stegman (who ran the successful Patio & Hearth Shoppe chain in Ohio for over 30 years), brought the idea of starting Elegant Outdoor Living to their son, Nate, and his wife Stephanie after coming back from their vacation home in Naples. At the time, Nate was the General Manager of the Patio & Hearth Shoppes in Ohio and Stephanie was a buyer for Frontgate Luxury magazine in West Chester Ohio. “We said yes immediately. We knew it was going to be a success because of the footsteps that were set for us to follow. Tom and Debbie are veterans in the casual outdoor furniture industry and it is not just a job for them it is their passion.” Stephanie says. Tom and Debbie opened the flagship store in Bonita in 2010 and one year later, Stephanie and Nate stepped in to open Naples and Fort Myers. All three locations took off immediately. “We were encouraged by the positive response. 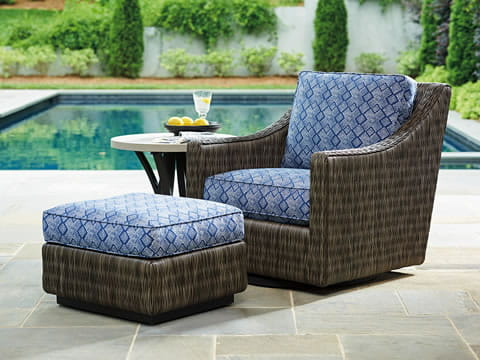 We brought the knowledge and expertise of our lines, our unique merchandising style and vibrant fabric selections, and even two of our Patio & Hearth sales employees.” Stephanie says. Nick is the lead design consultant in our Naples location and Kevin is the lead design consultant in our Fort Myers location both have been in ‘our family’ for over ten years. As you can imagine, our area is very saturated. 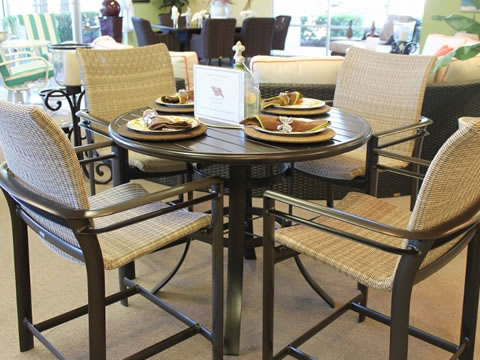 A customer can visit 6-10 patio stores on the same road. We know customers are smart and shopping around so that makes it even more important for us to make a good first impression. You only get one. Nate, Stephanie, Tom and Debbie are on the floor daily working closely with the sales consultants and customers. “I love being able to see customers sit in the furniture and feel the fabrics. Debbie and I spend a lot of time on our fabric selections and coordinating accessories for each season. It is nice to see customers enjoying the assortment and providing us suggestions on what they would like to see in our stores.” Stephanie says. 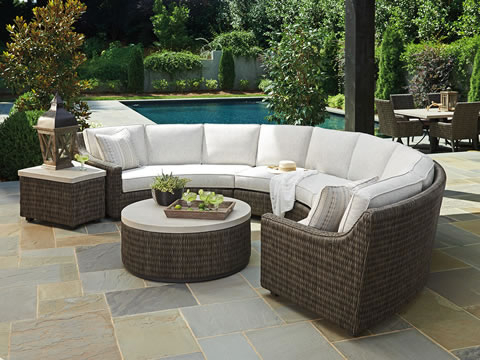 Currently, the trend in outdoor furniture is mixing materials. We are seeing a lot of positive responses to our collections that use a combination of wood, wicker, and aluminum.Our Kingsley Bate reclaimed teak table with resin wicker dining chairs and our Barlow Tyrie balcony height teak and aluminum table with Textilene sling balcony stools are among our best sellers. You can create a designer style by just adding a few items to your existing space. Replace your cocktail table with a firepit table. Enjoy it on the cooler nights or use it for the ambiance. Switch up your throw pillows by adding new colors and designs. 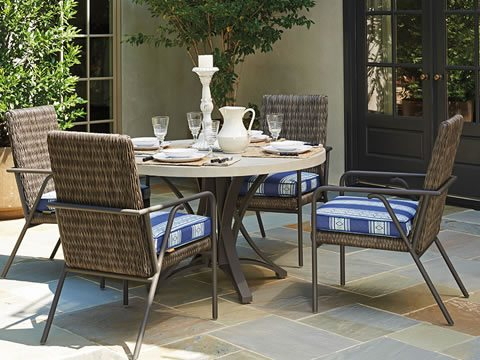 Adding an outdoor rug will also warm up your space and give it that complete look. If you need help imagining and designing, we are always willing to come out on a free in-home consultation and help you create your paradise. We are living in ours, so let us help you create yours.